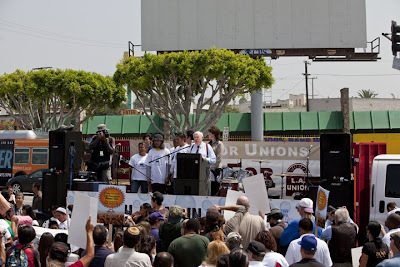 AFL-CIO President John J. Sweeney spoke on behalf of carwash workers rights at a rally held in front of the Vermont Carwash located at Vermont and Hollywood Blvd. 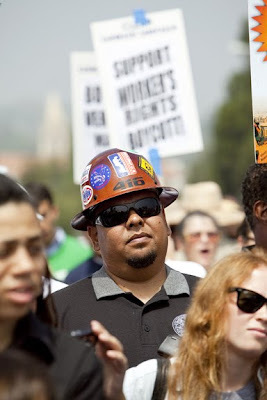 Union workers from all over the city attended the rally to help support the carwash workers of LA to form and join a union. A giant billboard that had a pro union message advertisement and was to have served as a background for the event, was taken down before rally was to begin. 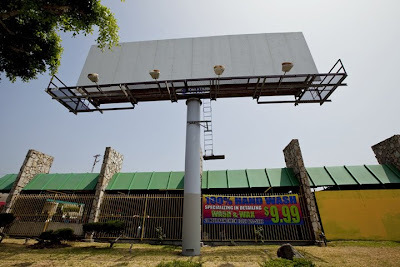 The billboard was taken by CBS down due to "pressure from the carwash owners" according to pro union representatives, the billboard is located on the carwash property. Defacto Prius Ads Invade SoCal Highways.